TestEquity is a value-added distributor of electronic test and measurement solutions. 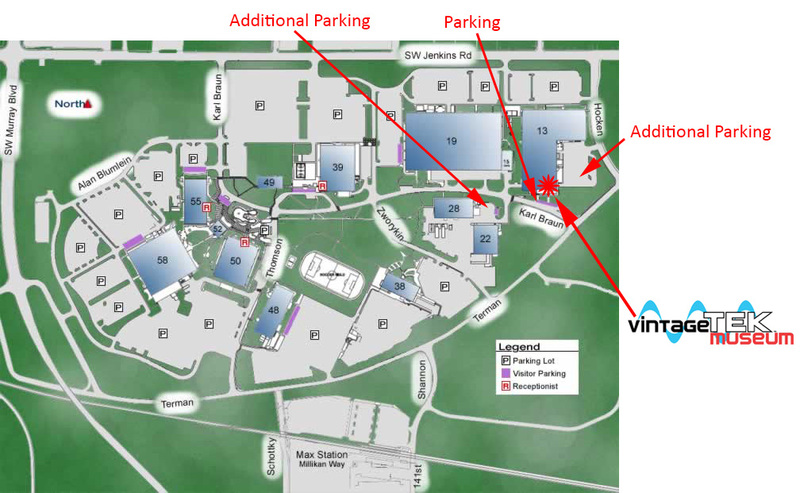 They are an authorized Rental Partner and a Distributor for Tektronix and the relationship goes back 45 years. 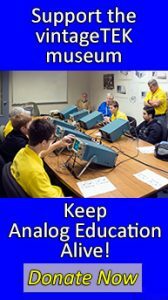 TestEquity is planning to create a museum showcase in the sales office and the vintageTEK museum was proud to donate a Type 503 Oscilloscope to Tektronix to present to TestEquity for their showcase. 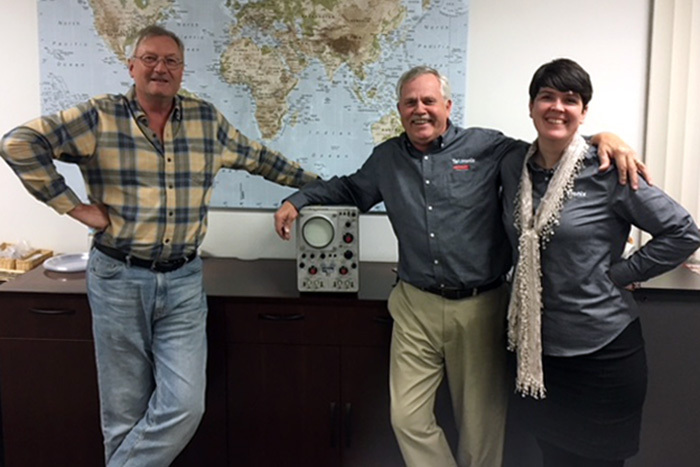 On November 16, 2018, Margaret Grattan, Tektronix Spectrum Analyzer Marketing Manager, and Gary Martschinske, Tektronix Rental and Encore Sales Account Manager (right), presented the Type 503 Oscilloscope to John Reeve, TestEquity VP of Rental Operations (left). The museum is always glad to find a good home for a classic Tektronix Oscilloscope. The Type 503 is a low-cost, low-bandwidth (450 KHz) oscilloscope introduced in 1960 for $625. It has a sweep circuit but was optimized for X-Y display with differential signal inputs. Many of these were sold into the education market where the differential inputs were useful for observing non-ground referenced signals. The low bandwidth also enabled high sensitivity without interference from nearby broadcast band radio transmissions. It is mostly vacuum tube construction with a few transistors and was in production until 1973, the year TestEquity was founded.